It’s been a while since my last sketch! But I’m throwing my name in the ring? Is that how that goes? Anyways I’m gonna be taking this sketch to improve my slash effects since I wasn’t happy with how my last one came out a while back! 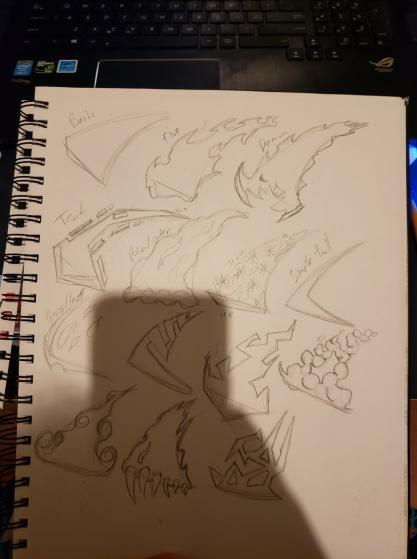 I started out by making some really rough and quick ideas for slashes that I might want to do! And of course where would we be if I didn’t show some of the things that didn’t go to my liking, or just forgetting how uvs work out right! My current goal is to make a flame slash to start out with. I feel once I have the proper shader to do so I’ll be in a good spot to take that and make some dope tweaks with different noise and timings. I really like the feeling of that slash, it doens’t look like a perfect circle, it feels organic. My most ambitious goal right now is to make a prototype slash effect inspired by Orphea in Heroes of the storm. Are you going to create a hand drawn effect? Would be cool! Those concepts look great, I like the second one in the bottom row. Thanks so much! I’ve been really pushing myself to learn Amplify since I can’t use shader forge past unity 2017. That bottom second one is actually the orphea inspired effect. As her kit is like this living miasma / venom kinda feel. I’m not sure how I want to approach it there are a few angles I can go about it but I haven’t settled one yet. I’m still trying to meet the baseline right now! So I went ahead and tried to make a cleaner texture for the trail. Oddly enough it also works as the enchant mesh texture as well! Oh right I didn’t mention that yet! 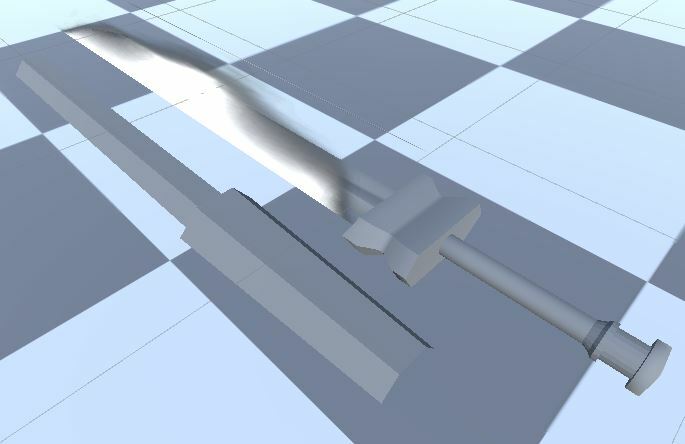 So I actually have two meshes that are kinda scabbard like that cover my sword. I’m using it to give the sword an enchanted feel. So if the enchant is fire I can place a flame like texture on it to go with the trail. I’ll try to have that up by my next post. I’m interested in seeing how you’ll tackle the more interesting breakup shapes from your sketchbook no these trails. Keep it up!